This month’s fly is the Parachute Smelt, created by Lou Zambello, a guide and part-time resident of Kennebago Lake. Lou talks about this pattern in his book Fly Fishing Northern New England’s Seasons. 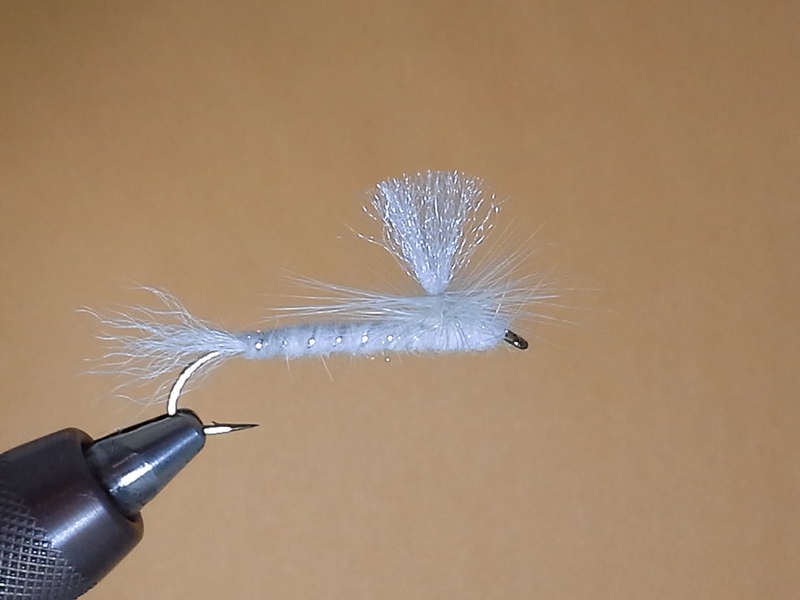 You want to fish this fly during the annual spring smelt run or anytime below a dam when smelt could get injured and float helplessly in the current. During the smelt run, some of these baitfish will return down the river dying or injured, offering a free meal for a big trout or salmon. Be sure to use heavy tippet when fishing this fly as the hook is large and the fish that take it can be, too.